The functionality and reliability of the TOSHIBA TEC hardware and the Datasym software provide the retailer with a robust, 100% compatible system capable of meeting today’s customer centric and management informational demands. 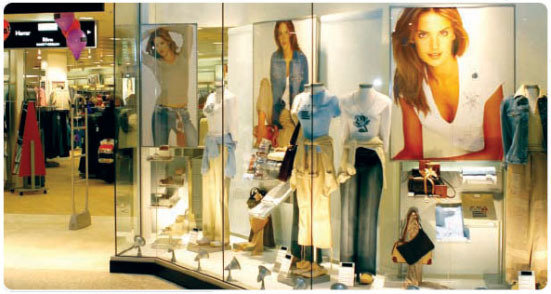 The innovative front-end solution enables you to offer a point-of-sale customer service that is second to none. As a Chip & Pin compatible solution, the retailer is well equipped to meet the requirements of the recent shift of liability from the bank to the retailer. With a simple and easy to use system, capable of configuring to each customer specification, Datasym.POS gives you a cost-effective solution that provides you with facilities matching those used by major supermarket chains. This option enables you to offer special promotions on slow moving lines, for example, buy one get one free, and a variety of other customer incentives. Allows you to use multiple prices, for example, for reducing the selling price on perishable items, or price banding for loyal customers. Operation via a touchscreen or keyboard on TOSHIBA TEC's robust hardware directs the cashier quickly and easily through the transaction, resulting in improved customer service with fewer queues and reduced staff training time and costs. The cashless feature reduces the need for cash holding on the premises - transactions are paid for by charge cards, or charged to account. 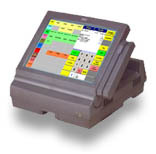 Datasym.POS has been developed on TOSHIBA TEC’s ST-60 & ST-70 Touchscreen & ST-7000 epos terminals to give 100% compatibility. A quick, reliable file structure makes the system not only solid but also very efficient. Card fraud has risen significantly in the UK in recent years. Datasym.POS is approved for using Electronic Funds Transfer (EFT) and Chip & Pin. Whilst Datasym.POS can operate entirely independently, Datasym can also provide a complete enterprise level back office system that can control all aspects of the POS’s features as well as providing full multi-branch stock control, EDI interfaces with well known national suppliers and links with 3rd party applications. Enabling full control of the movements of goods within your business and allowing stock on hand to be managed within your company’s cash flow. Allowing you to maximise your efficiency to give increased profitability. The back office system allows price changing to be easily managed and scheduled. Shelf edge and sales labels can be produced at any time. Price checking and changes, shelf edge label printing, stock takes, orders, receipts and transfers can all be carried out with the Denso BHT range of devices and our specialist hand held software. For the retailer, TOSHIBA TEC can offer an extensive range of specifically designed electronic point of sale products for your market, including touchscreen, modular equipment and fully integrated units.